This is The One!! People have been wanting This, The Best Unit in the Complex, For Years!! A Lot of Extras and Truly a Must See!! 2 Bedrooms, 2 Bathrooms, 2 Dedicated Parking Spots, Dining Area, Family Room, Study/Den and an Incredible 140 sq. ft. Sun/Atrium Room, Covered Patio and Fantastic ~ Large Roof Top Deck Area!! 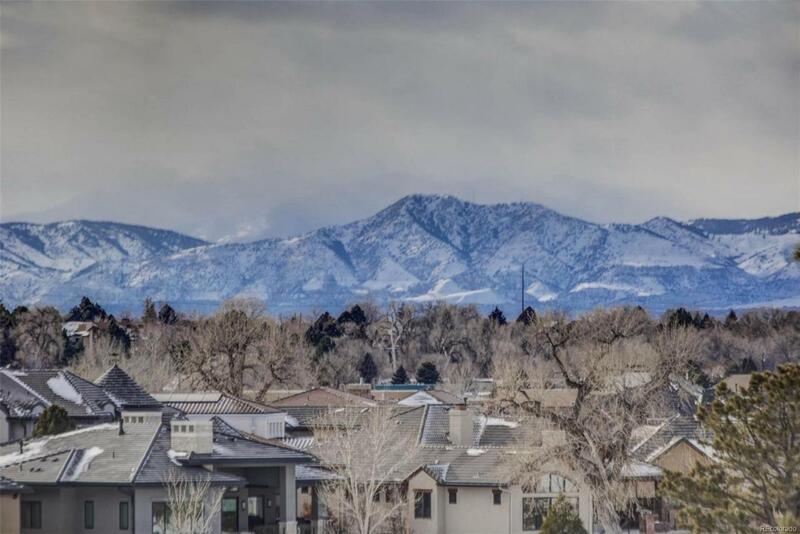 The Best Front Range Mountain Views to be had in Denver! Wonderful Wildlife viewing while Overlooking/Adjacent to Highline Canal and Private (Cherry Creek Country Club) Golf Course. This is The Best of The Best for Inexpensive Penthouse Living ~ Bar None!! HOA includes Heat, Club House, Water, Exterior Maintenance with Roof, Pool, Sewer, Snow Removal, Tennis Courts and Trash Removal. Storage Unit/Locker/Closet in Basement. Study/Den could easily be a 3rd bedroom or Nursery.